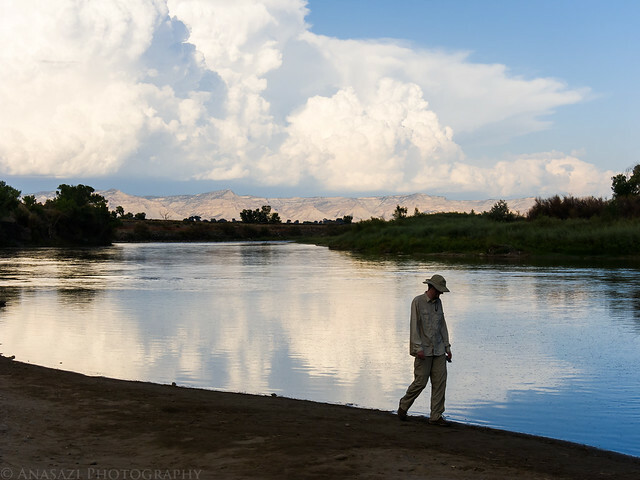 After work on Friday I met Jackson at the Westwater exit on I-70, after the slower than usual drive through two construction zones, so that we could drop his car off at the Westwater takeout along the Colorado River. 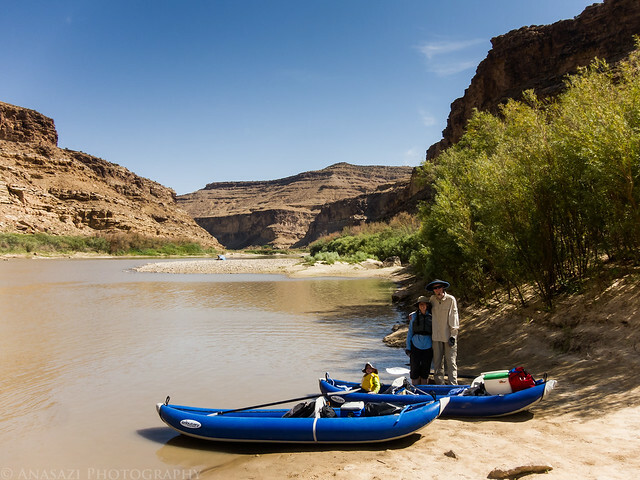 Our plan this weekend was to float through the Ruby – Horsethief Canyons section of the Colorado River from Loma to Westwater. 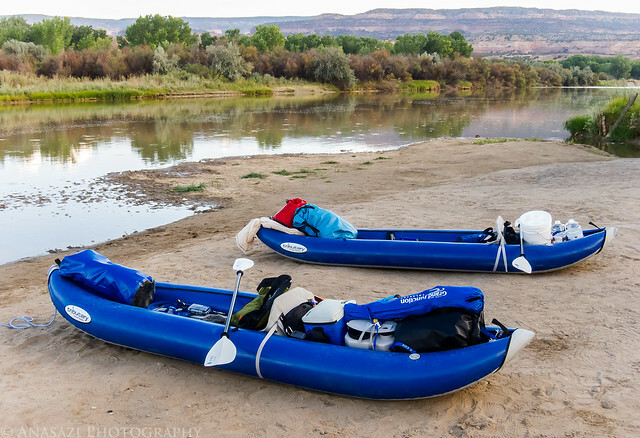 This was going to be my very first overnight river trip and I have book looking forward to it for a while. 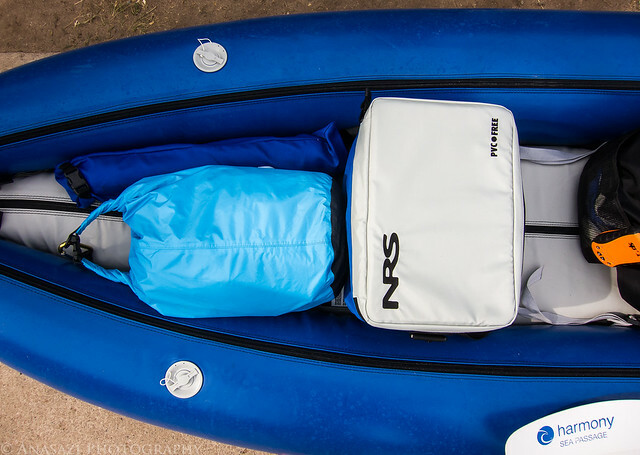 Thanks to all my new backpacking gear bought earlier this year, packing the inflatable kayak was much easier, even though I decided to bring along a bigger tent this trip. 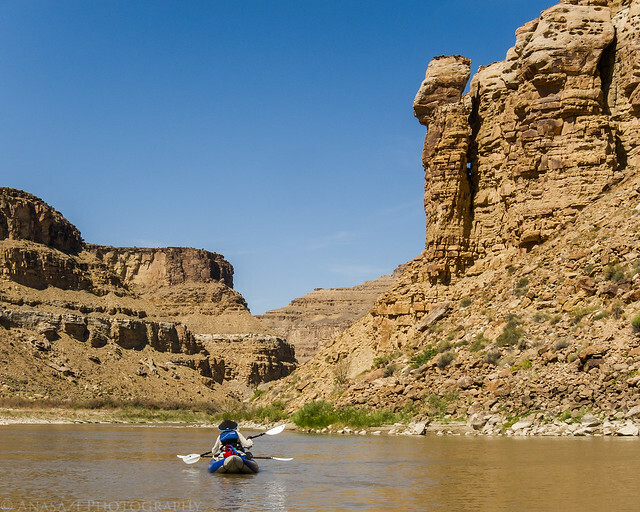 This section of the Colorado is about 25 miles in length and is pretty mild, but it flows through some beautiful sandstone canyons. 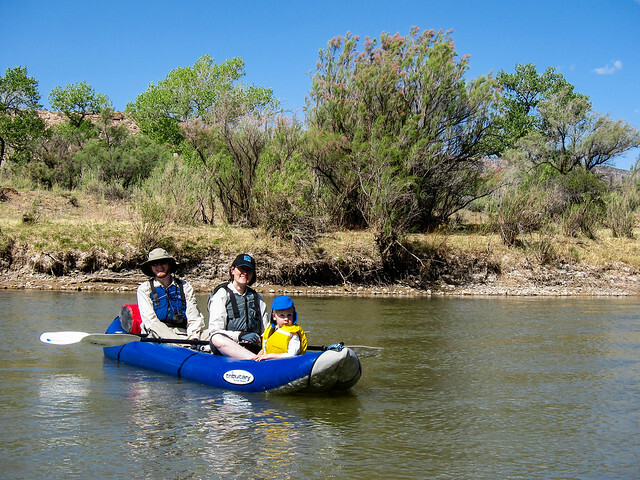 Once Jackson’s car was parked in the Westwater parking lot we took my Jeep back to the Loma boat ramp and got our inflatable kayaks ready for the trip. As I suspected, we had the launch site to ourselves on a Friday evening at about 5:30pm. We were a little hurried this evening since our campsite was 3 miles down the river at the mouth of Rattlesnake Canyon and we weren’t exactly sure how long it would take us to get there with the lower water levels. We were on the river by 6:00pm and had two hours of daylight to make it to our camp. To make us feel even more rushed, once we were on the water some storm clouds came over the cliffs in front of us and made us a little worried that we were going to get caught in the middle of a storm. 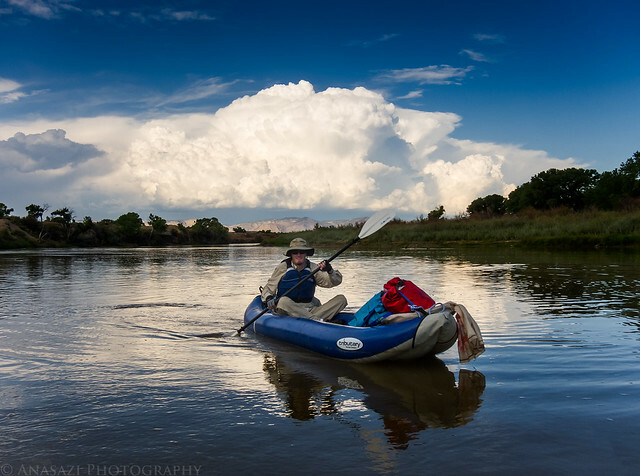 Luckily the storm missed up and it only took us an hour to paddle those first three miles to Rattlesnake Canyon. After dropping off my Jeep at the Swaseys Rapid takeout, we continued in Jackson’s Prius to the put-in at Nefertiti. The last time I was on this road it had been freshly bladed and I don’t recall it being too rough, but unfortunately this time around it was a bit rocky and almost too much for the Prius. The most difficult part was through a few stretches of sand that he had to power through. Luckily, he somehow managed to get that little car to the end of the road without getting stuck or scraping up the bottom too badly. If he hadn’t, we would have been walking back to the Jeep and not getting on the river. 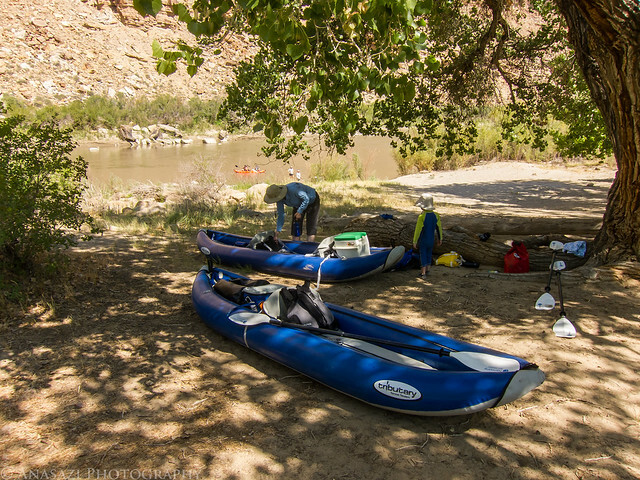 After reaching the put-in at Nefertiti, we got our boats setup under the shade of a large cottonwood tree. Ready to get on the river for the day. Just around the first bend we paddled under the large Nefertiti Rock. 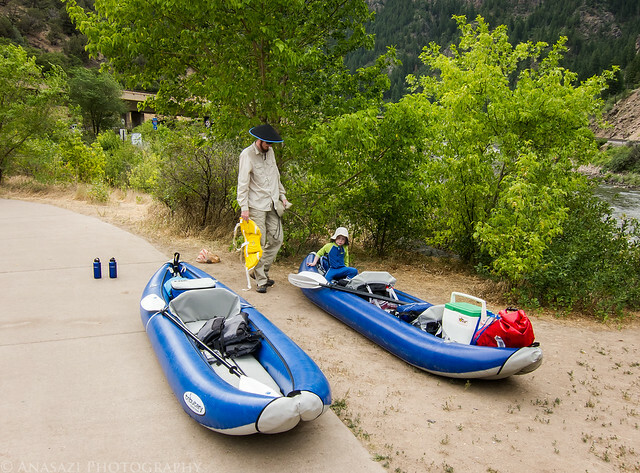 This past weekend when Jackson and I were hiking up Uncompahgre Peak he suggested that we take our boats to Glenwood Canyon for the 4th of July, and I thought that sounded like an excellent idea…so we did. We decided to put in at Grizzly Creek and take out at South Canyon for this day trip. 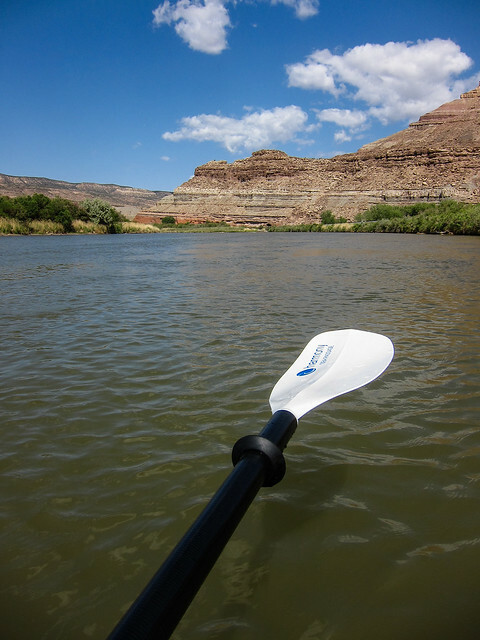 I’ve been on this stretch of the Colorado River before, but never in my own boat, so I was looking forward to trying it out. Even with the low water levels this year, the river was still moving at a good pace through this section and there were still some Class II+ rapids and plenty of large boulders to avoid along the way. It was a lot of fun and definitely good practice for me. Here’s a few snapshots from the day. Since I don’t have a waterproof camera all of the photos were taken while we were on calmer water, so I don’t have any action photos in the Class II+ rapids we went through. We were surprised and happy to find that almost no one was at Grizzly Creek when we arrived. 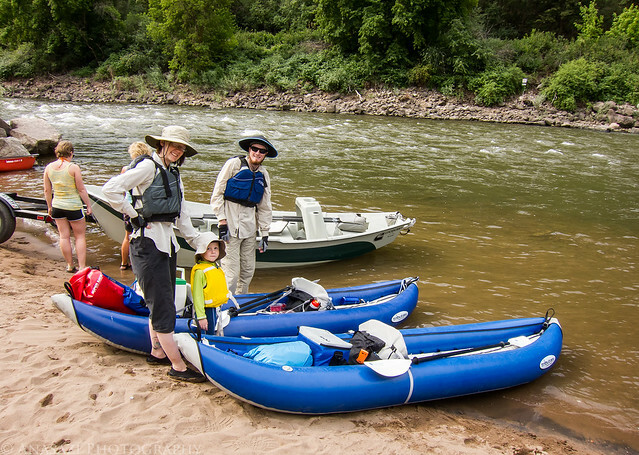 We had no problems finding parking and getting our boats inflated and setup. On Monday I picked up a small cooler for my boat that I thought I’d show off 🙂 I was pleasantly surprised to find that it fit perfectly between the inflated tubes and easily attached to the d-rings below. It couldn’t have worked out better! Part of my birthday present to myself this year arrived yesterday. 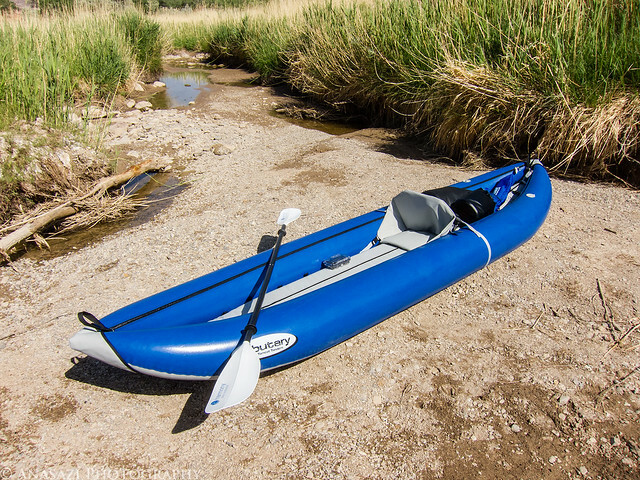 I was originally going to wait a few more months to buy an inflatable kayak, but I came across a great deal on the boat I wanted that I couldn’t pass up. 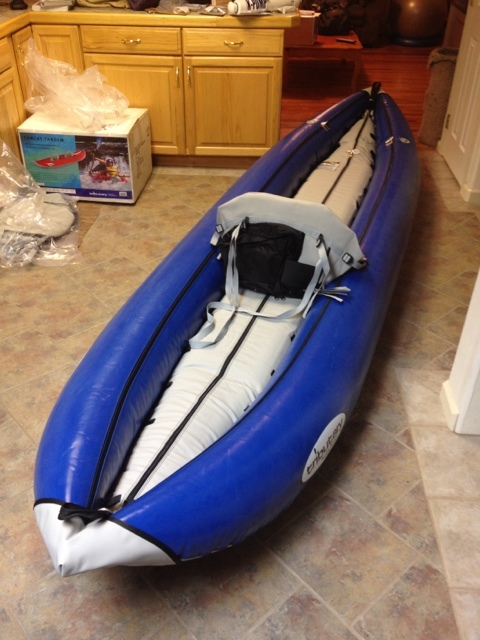 Now I just need to wait for the temperatures and water levels to rise so I can get out on the rivers! It should be another great year of exploring!